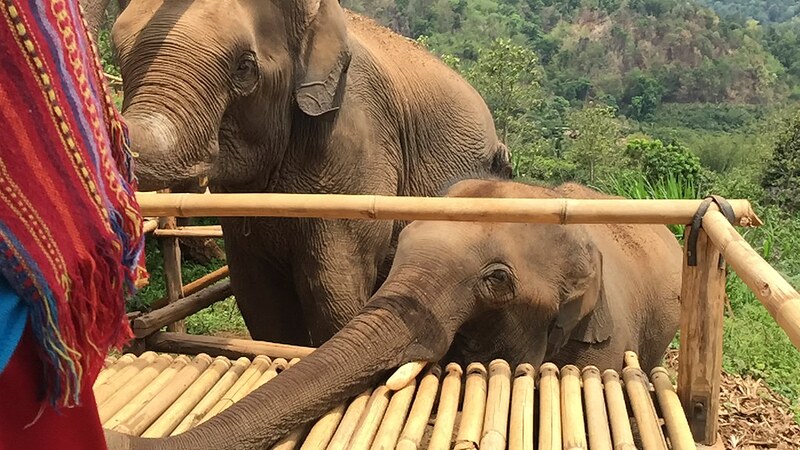 It has been my long dream to see a real elephant , touch at (if possible) and admire this magnificent creature. The first time I saw one was in a zoo, I think in Ueno or maybe Tennoji (not sure) but it did not look happy at all. The second time was in Angkor Wat , where tourist were riding on it’s back, again it looks sad , tired and tortured. 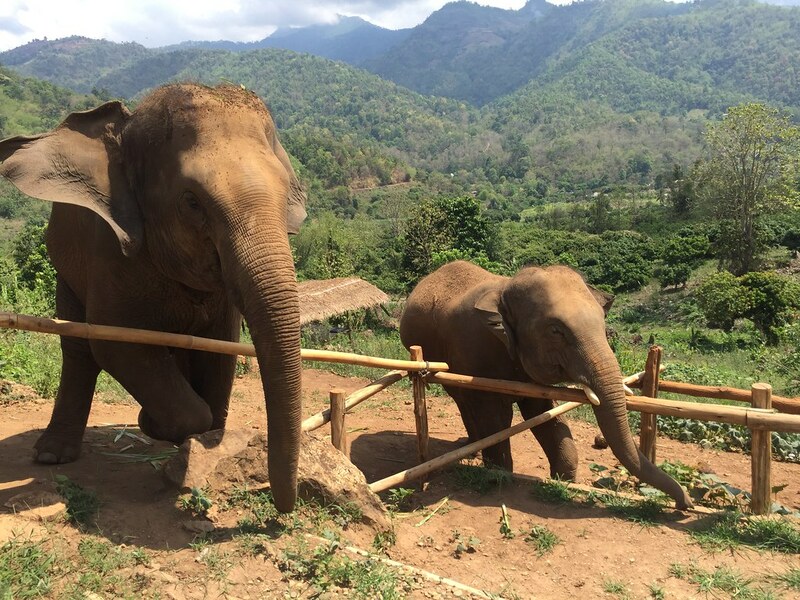 I found a sanctuary , Elephant Nature Park, in Chiang Mai who rescues abused Elephants. 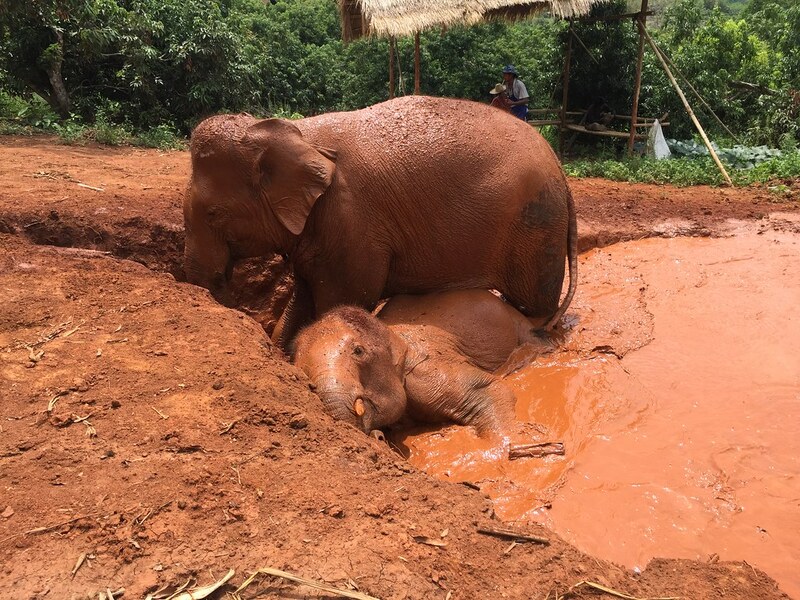 They also support/ help families who stopped using their own Elephants in riding camps and this is where I went for a day, a great and amazing day with the Elephants. 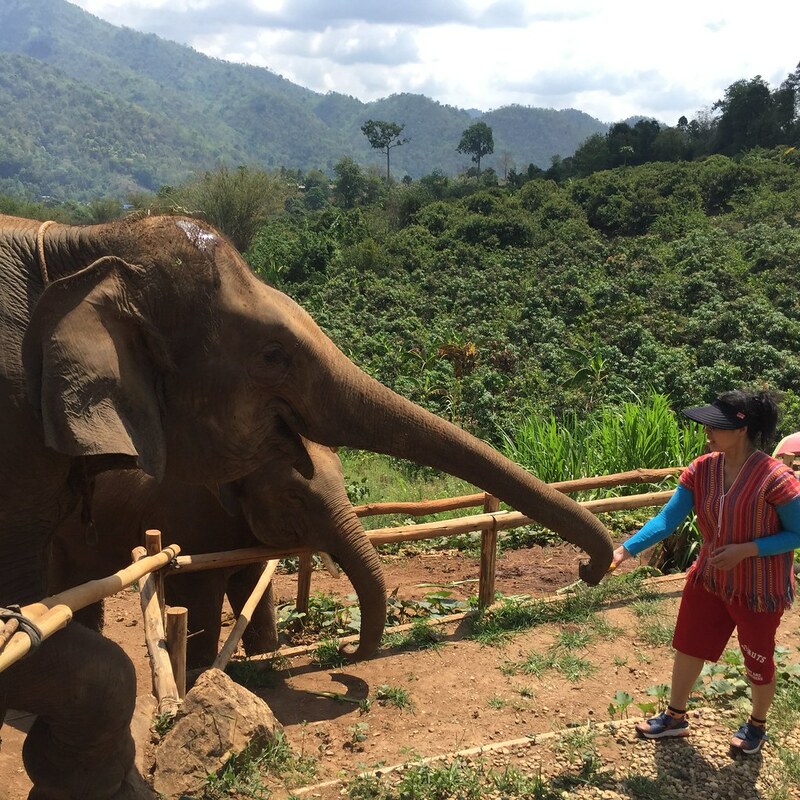 They have several on going project and I was lucky enough to join the Saddle Off Project in Kon Kub Chang. 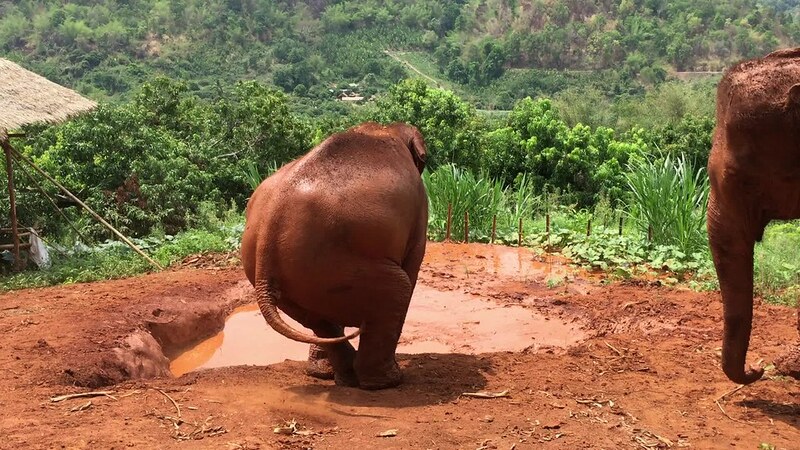 We prepare the elephant food, feed it to them , took them for a walk for their mud bath and gave them a bath afterwards. Patiently waiting till we finish preparing the food. Can I get more please !!! As I said or wrote specifically there are several on going projects that better than watching elephants paints or riding them. 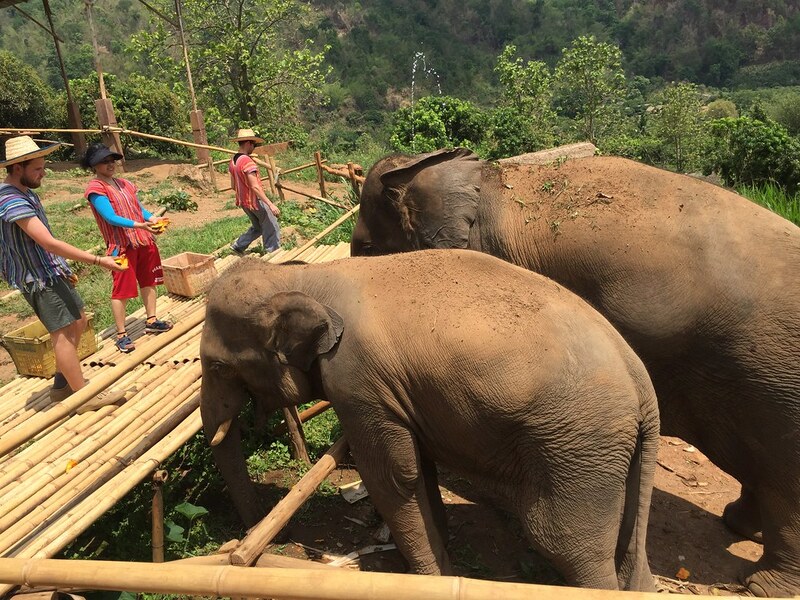 When in Chiang Mai, try to bring your family , friends to the Elephant Nature Park.